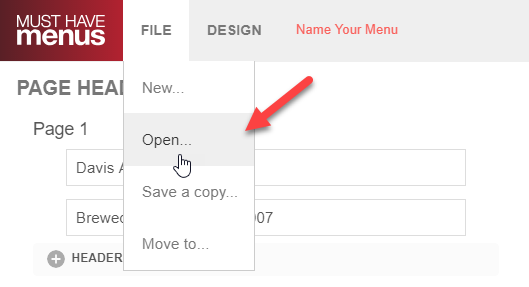 To open a different menu saved in your account, click File in the upper left corner then Open. All menus stored in that location will be listed. Simply click on the menu you'd like to open for editing. 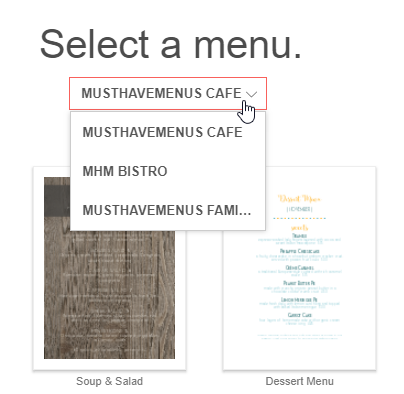 If you have multiple locations in your account, click the location name above the menu list to view menus in another location.